Game wardens in Colorado compete for coveted jobs at both the state and federal level, which means that applicants should be passionate about fishing and wildlife conservation and have an understanding of why these resources are so valuable to our country. Typically, a warden's responsibilities would include issuing fishing and hunting licenses, making arrests, patrolling for violations of state hunting and fishing laws and data collection. The jurisdiction of each game warden can vary, but often includes monitoring the natural resources of an entire county, which makes the role demanding both physically and mentally. Jobs are competitive, with some applicants waiting for months to gain access to hiring pools and some applying to multiple agencies before receiving an offer. Still, for the right candidate, opportunities are available. Given this fact, it's important to understand the qualifications and requirements of the position, as well as the selection process so as to be fully prepared to succeed. The Colorado Department of Parks and Wildlife is comprised of individuals who balance their love of the outdoors with knowledge of law enforcement principles and practices. Known statewide as Wildlife Managers, these men and women dedicate their professional lives to protecting and advocating for Colorado’s natural resources. While encompassing all the standard duties of a game warden, Wildlife Managers have much more to do than check licenses and enforce hunting regulations. Colorado’s Wildlife Managers are the face of advocacy for Colorado Parks and Wildlife, speaking to advocacy groups and schools, as well as offering hunting and boating safety courses. The role of a Wildlife Manager is a challenging one, which means that all applicants must have the skills that provide their department and the public with the kind of expertise and dedicated service it requires to be effective. Academic Credentials: Completion of high school or GED /graduation from an accredited college or university with a bachelor’s degree in biology, natural resources or a closely related field is required. Work experience, which provides the same kind, amount and level of knowledge as the required education may be substituted on a year-for-year basis in lieu of the bachelor’s degree. Hearing: The applicant must meet the minimal standard for hearing, including long distance, directional and hearing vocal conversation. Vision: The applicant must have binocular vision with or without corrective lenses or contact lenses, as well as uninterrupted peripheral vision. Physical Readiness: The applicant must successfully complete a physical readiness test as part of the state trooper training. This testing will include a swim component as per hiring requirements. Applicants must successfully complete each component of the physical readiness testing during the allotted timeframe to advance through the application process. Establish and maintain effective interpersonal relationships and communicate effectively both verbally and in writing. 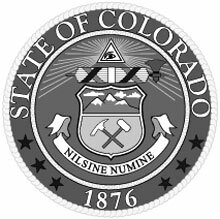 The Colorado Department of Labor and Employment reported that game wardens in Colorado earned an average salary of $49,829 ($23.96 hourly) as of 2016. Both experience and location greatly affect the salaries of Colorado’s game wardens. Those with experience earned an average salary of $59,514 ($28.61 hourly) that year, while entry-level game wardens averaged $30,459 ($14.64 hourly).